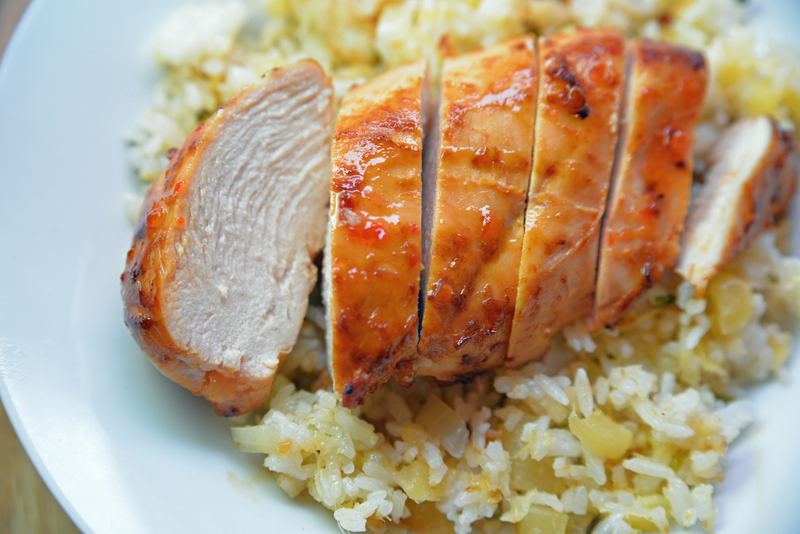 Sweet Chili Chicken with Pineapple Fried Rice is a sticky, sweet, spicy dinner you will crave. Sweet fruit, tangy citrus, and spicy peppers are one of my favorite flavor combinations. It’s a trifecta of flavor that makes dishes come to life, especially chicken. 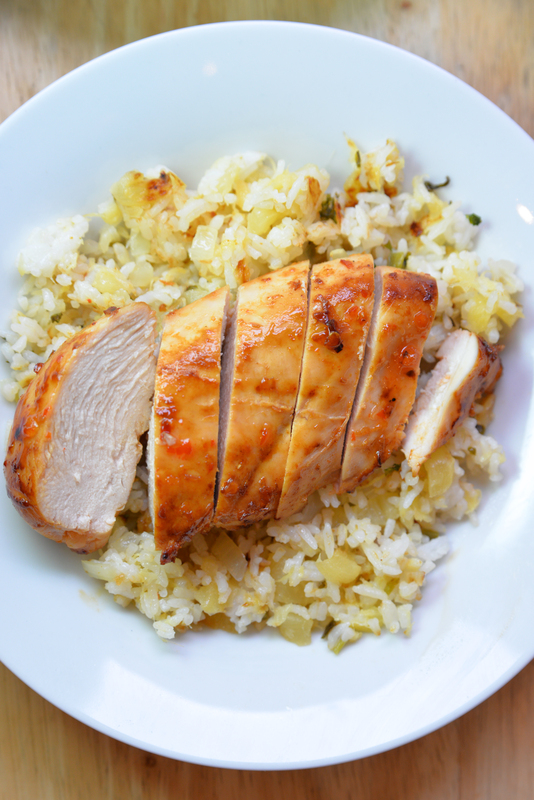 This recipe for Sweet Chili Chicken with Pineapple Fried Rice is perfect for a flavorful weeknight meal and makes great leftovers. This recipe was originally called Spicy Pineapple Chicken. The original recipe was chicken with a pineapple sauce over rice. I created it because I like incorporating fruit with high levels of Vitamin C into my cooking in the winter. Pineapples are loaded with vitamins and minerals including vitamin A, vitamin C, calcium, phosphorus, and potassium. Another great benefit of pineapple is that it has Bromelain. Bromelain works to neutralize fluids to ensure that they are not too acidic. It helps regulate the secretions in the pancreas to aid in digestion and it has protein-digesting properties that can keep the digestive tract healthy. This updated recipe is a better take on the original. The chicken is marinated in a spicy sweet pineapple marinade. 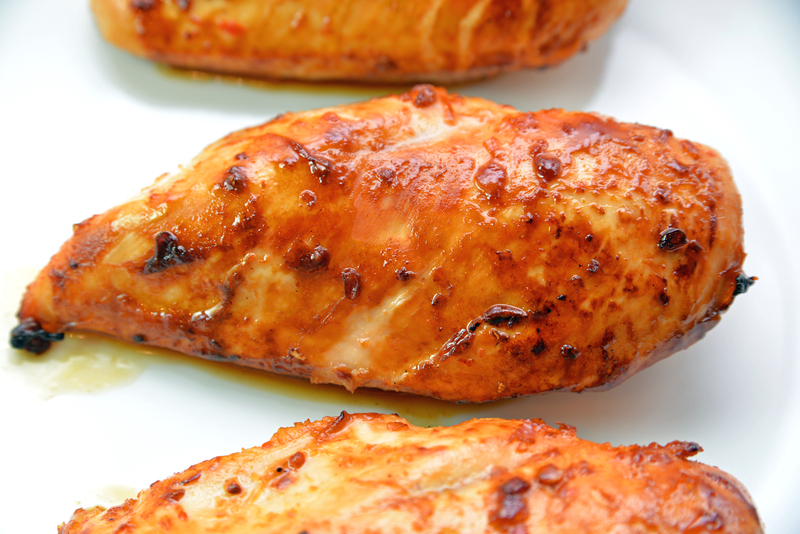 The marinade makes a wonderful glazed chicken that is totally addicting. 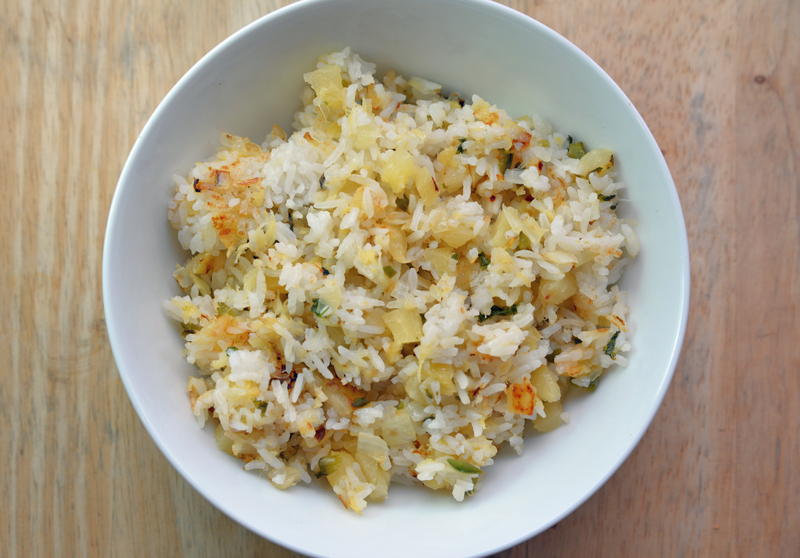 The pineapple salsa is now incorporated into a pineapple fried rice. It’s bright flavors balance the starchy rice and pair perfectly with spicy sweet chicken. In a plastic zipper bag, combine garlic chili sauce with pineapple juice. Add chicken breasts and let marinate in the refrigerator for a minimum of 2 hours. In a skillet over medium heat, heat 1 tbsp sesame oil. Add chicken breasts. Reserve marinade. Cook chicken until brown, 3-4 minutes, then flip. Cook for 1-2 minutes. Add remaining marinade to the pan. Cook for 7-10 minutes, until liquid, has reduced and thickened. 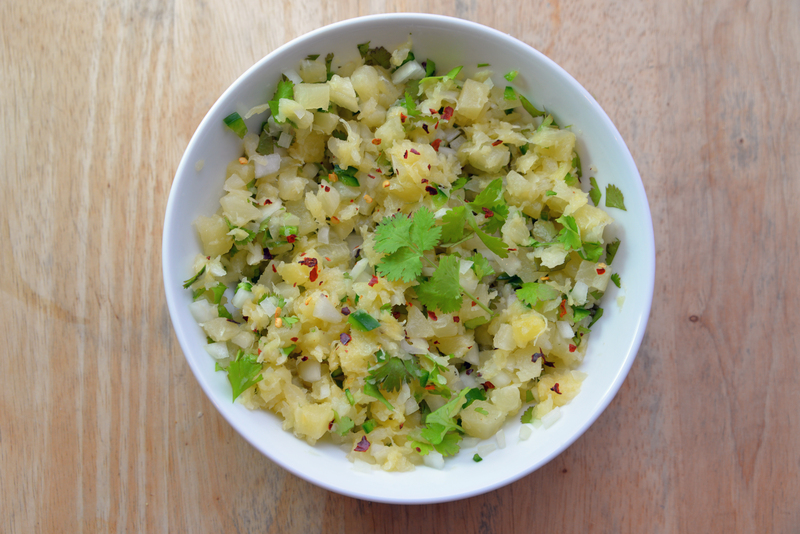 In a bowl combine jalapeno, onion, cilantro, chili flakes, lime juice, ginger, garlic and drained pineapple. Season with salt and pepper. Let sit for 10-15 minutes. Drain any remaining liquid and reserve. In a hot skillet over medium heat, heat 1 tbsp sesame oil. Add rice. Cook for 1-2 minutes until rice is heated. Add pineapple mixture. Cook for 3-5 minutes until rice is a little brown. Add reserved liquid, cook for 1-2 more minutes until hot. 1. 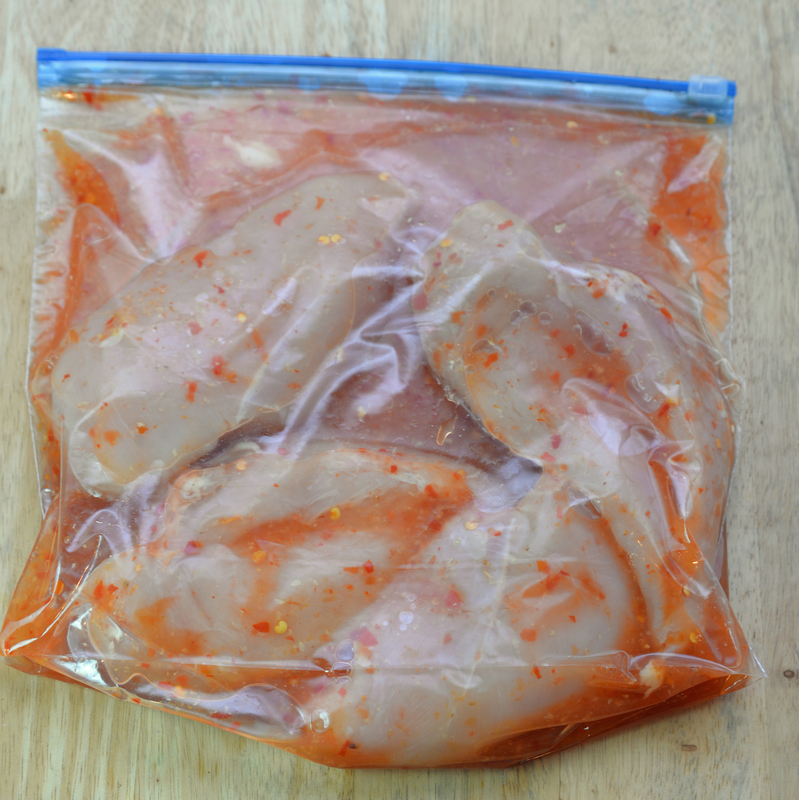 A half-gallon plastic bag is perfect for marinating the chicken. 2. 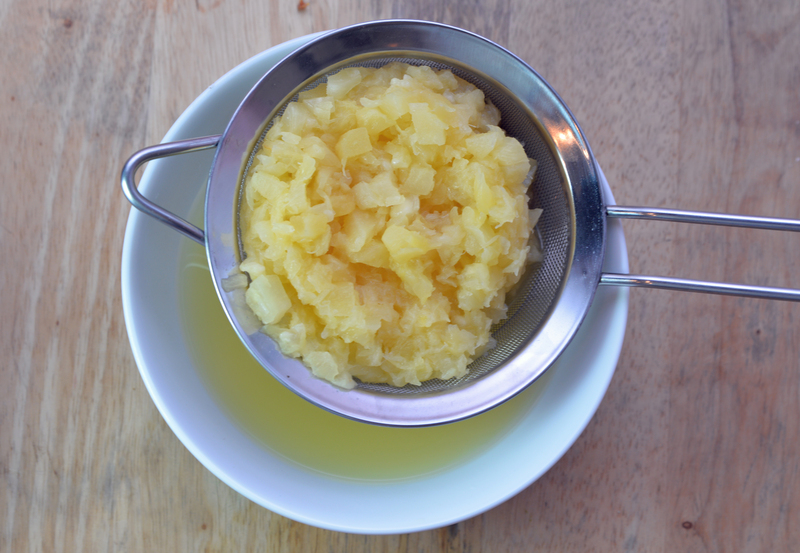 Use as many fresh ingredients as you can, but don’t fret over the pineapple. Canned pineapple yields the same great flavor as fresh. Plus, you will save time but not having to cut and crush your pineapple. 2. Drain your pineapple well. You want to extract as much juice from it as possible. 3. 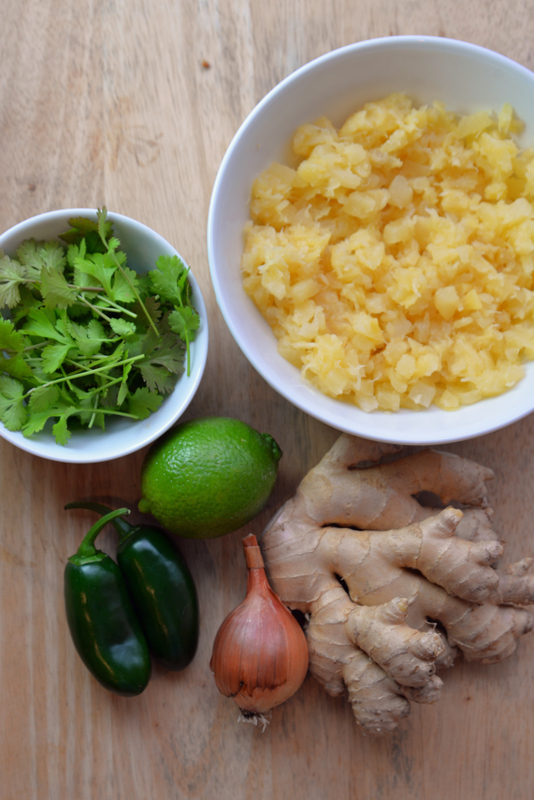 When making the pineapple rice, you can double the pineapple salsa and reserve for chips. It makes an interesting salad and taco topper. This recipe was originally called Spicy Pineapple chicken. It created in February 2013 and was updated for taste and accuracy in January 2018.